What do you get if you take a cute humanoid robot and pair it with one of the world’s best artificial intelligence programs? A smarter humanoid with few practical skills. Japanese mobile carrier SoftBank introduced a talking household machine called Pepper last year, and it’s now hooking up with Watson, IBM’s artificial intelligence platform. The prospect of the AI, a winner on the “Jeopardy!” quiz show, becoming embodied in the doe-eyed droid may be frightening or enchanting depending on your perspective. But it’s unlikely to make the robot any more useful due to its physical limitations. 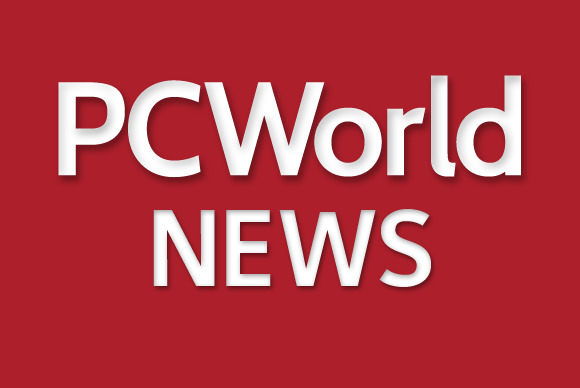 SoftBank and IBM are planning to use Watson with Pepper, but they haven’t specified how. The quiz show champ is a cloud-based platform that can be used to sift through large volumes of data and answer questions posed in natural language. IBM has billed “cognitive computing” as a nimble form of AI that will be able to look at and use unstructured data. Watson has been deployed in the U.S. to help doctors identify treatment options for cancer patients. With a constant high-speed Internet connection, Pepper could channel Watson and become something more sophisticated than what it does now: sing songs, help sell mobile phones and appear in ads for canned coffee with actor Tommy Lee Jones. Like Honda’s Asimo robot, Pepper is a corporate ambassador. Even though Pepper didn’t respond with a question, it was another version of Watson’s “Jeopardy!” routine, one that evoked super-intelligent robots of science fiction such as C-3PO or Data. But few people will be willing to shell out ¥198,000 (US$1,653), Pepper’s planned sale price, for a quiz master that can’t do much else. Constrained by its hardware limitations, Pepper can’t cook or clean, as developer Aldebaran Robotics of France readily admits at the top of a promotional webpage. Its rubber-tipped fingers could probably grasp clothing, an Aldebaran researcher speculated via email, but it clearly wasn’t designed to carry things. Pepper is an empathy robot. 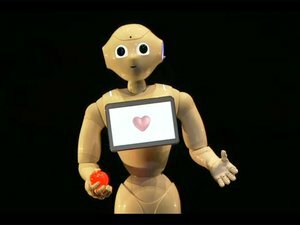 SoftBank CEO Masayoshi Son unveiled Pepper in a dramatic press event as the world’s first robot that can read human emotions. It can read facial expressions, tone of voice and body language to better communicate with people. With less-than-perfect conversation, there’s all the more need for Pepper to help out around the house, something that would vastly improve its consumer appeal. Roomba by iRobot is an international success because it frees its owners from an unpleasant physical chore—cleaning floors. The long-term challenge for humanoid robots is to be effective household tools, not just chatterboxes. The good thing is that CEO Son sees robotics as a long-term play with plenty of incentive for improving a platform like Pepper. He’s willing to forgo profit in the short term while investing in something he sees as part of that much-debated moment when AI will supposedly surpass human intelligence.